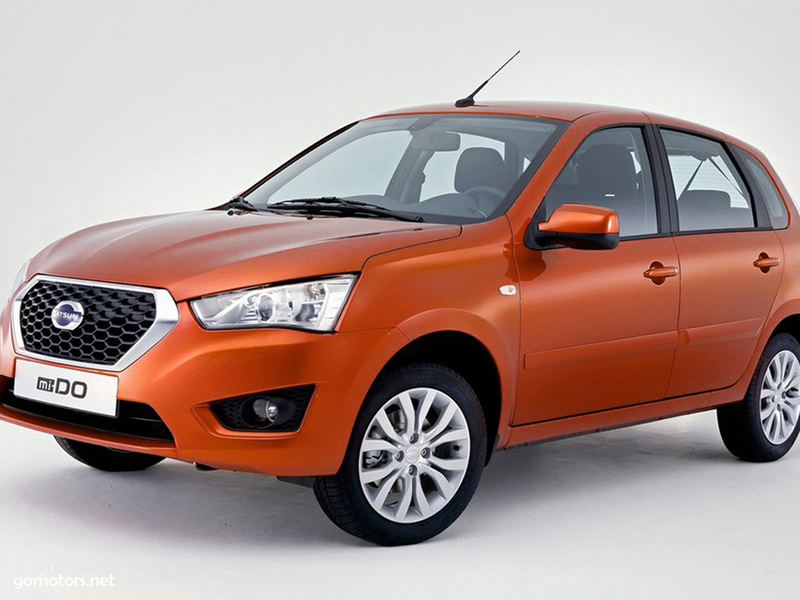 The Datsun mi-DO is sporty five-door hatchback with a powerful manly look: powerful, modern and assured. Among its stand out characteristics are its "face" dominated by Datsun's assured "D Cut" grille and which, consequently, is flanked by drastically elongated projector headlamps that stretch almost from grille to fender to produce a look that distinguishes sedan and hatchback at a glimpse. Although sharing front-wheel drive chassis layout and the exact same wheelbase as Datsun on DO, Datsun mi-DO is not longer general to highlight its driving dynamics.